Front of Home with Deck for Relaxing and Dining Outside! Living Room with TV & a Wood Burning Fireplace!! 2nd bedroom is detached from main house. This vacation home emanates rest and relaxation from its calm color palette to its warmth and coziness. 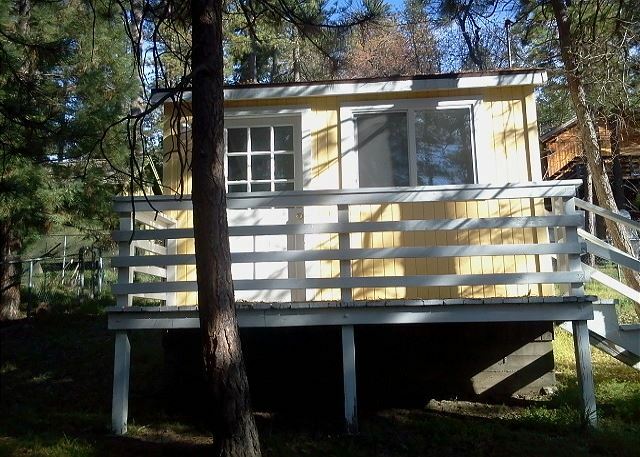 “Lemon Lily” features a Spa, 1 bedroom, 1 bathroom and has accommodations for 4+ people. 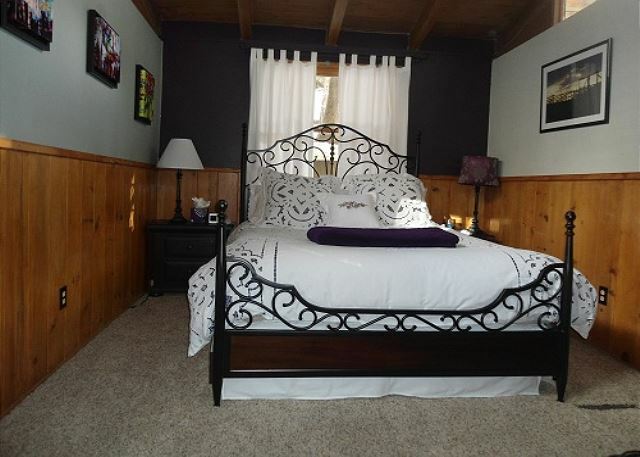 This home has a Queen bed and an air mattress can be requested to accommodate up to 4 guests. The living room features a television with cable, WiFi, DVD player, and a lovely brick fireplace for those cold winter nights. “Lemon Lily” includes garage parking, ideal for guests for use during the winter. Slate floors and slate tiles in the shower are just a couple of the many upgrades and special touches. “Lemon Lily” is just a mile from Idyllwild Arts School or a mile walk to town. This home is perfect for a romantic getaway or family vacation. Don’t miss out on this special treasure! Weekend rate Friday/Saturday is $170.00 p/night. Weekday rate Sunday thru Thursday is $150.00 p/night. 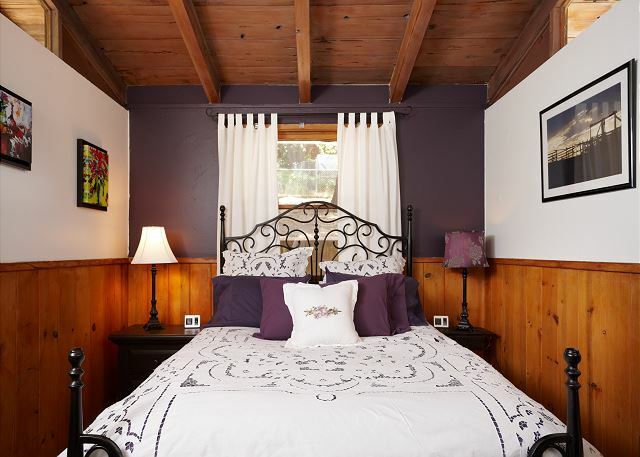 Winter Holiday rate $225.00 p/night (Thanksgiving, Christmas and for New Year's, with a 4 night minimum). Holiday rate $200.00 p/night, a 3 day minimum may be required. Call us for our weekly/monthly specials. Pets are welcome. Pet fee will apply. Linen/Prep fee $85.00. We really enjoyed the Lemon Lily! It was a perfect little place for two people. 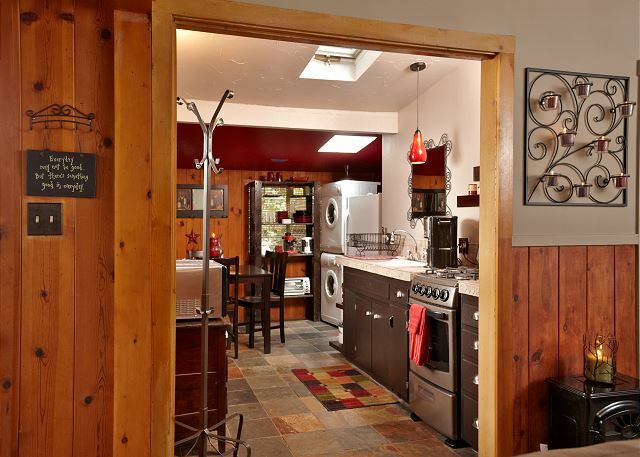 Well-stocked kitchen, nice deck, and comfortable living room and bedroom. 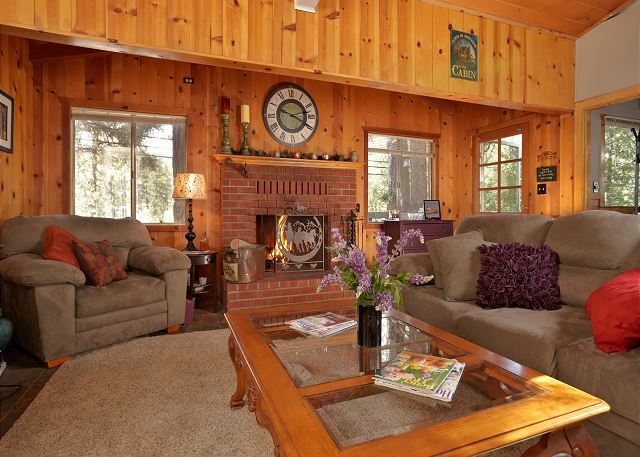 Great location, walking distance from the Idyllwild shops. Also close to trails and main roads. Only drawbacks were the busy road and close neighbors. I was pleasantly surprised with the cabin and all of the thoughtful touches provided. It was quite clean and comfortable. The cabin was perky, and gave you a feeling of being like home in it's comfort and yet still a vacation feel in it's uplifting decor. The people in the office were helpful and friendly. We had a lovely weekend. Cute cozy cabin close to town. We were there for Christmas and it was decorated for the holiday with a cute little Christmas tree. The cutest, cozy cabin. It was perfect for our family of four. Had everything for we needed and more. The management was friendly and easy to deal with. I came up to Idyllwild to escape from the city and my job. Lemon Lily was the perfect little place for me to be creative and relax. Completely quiet and serene. I used the Hot tub every night and it was fantastic. I am looking forward to my next stay! This was our 2nd time staying in lemon lily and our 5th time using new spirit vacation rentals, and we couldn't be happier. I highly recommend staying in lemon lily if you're looking for something close to town, walking distance to a great hike. It's a perfect couples retreat. We enjoyed the cabin, it was very peaceful, except for the dogs next door. We had a hard time finding the light switches. 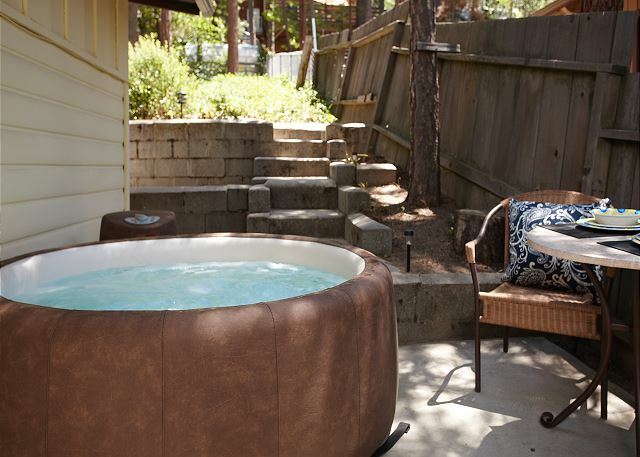 We really enjoyed the hot tub- a bonus not mentioned in the listing- needs some outside cleaning,tho. Fell on the steps from the living room to the bedroom- slippery and sharp edged. Wish we had had more time to explore the town, but we had a 3 day event in Indio, and most of our time was taken with that. It was nice to return to and to be able to cook our own food. The cabin is clean and well maintained- it had all that we needed. We drove up to the hiking trails at Huppert(?) Park, and enjoyed the scenery. We loved the little cottage, but the location was not good. Too close to other properties and a fairly busy road.